Betrixaban is indicated for the treatment of venous thromboembolism (VTE). 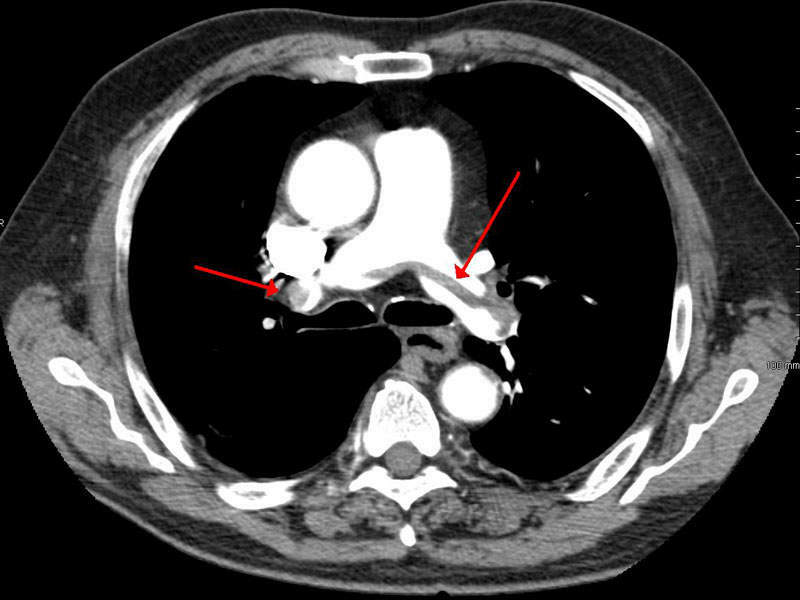 Pulmonary embolism (PE) is a form of VTE and is formed due to blockage of an artery in the lungs. Image courtesy of James Heilman, MD. The second form of VTE, DVT is symptomised by a blood clot in the vein in the leg. Image courtesy of BruceBlaus. Bevyxxa (betrixaban) is a drug developed by Portola Pharmaceuticals that is indicated for the prevention and treatment of venous thromboembolism (VTE) in adults. 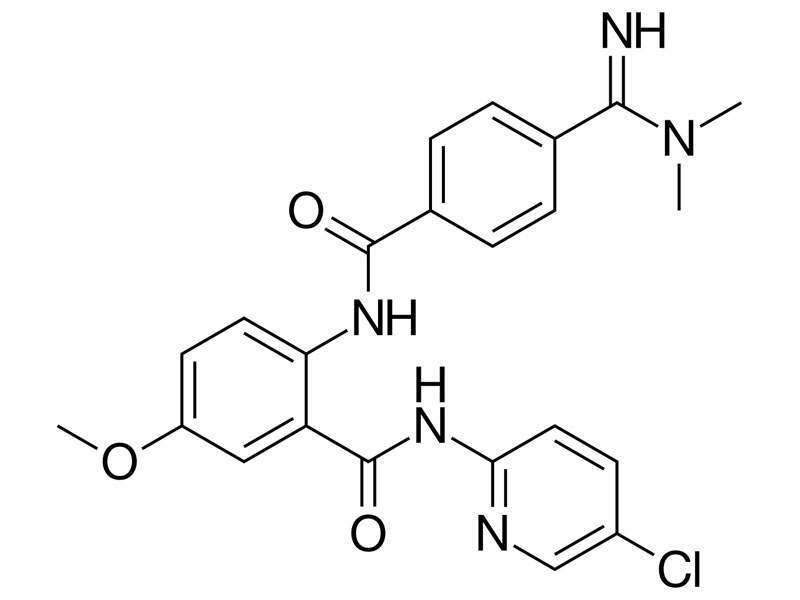 This factor Xa (FXa) inhibitor acts as an anti-thrombotic for cardiovascular diseases and is available in a capsule with doses ranging from 40mg to 80mg. Portola submitted a new drug application (NDA) to the US Food and Drug Administration (FDA) in October 2016, which was approved in June 2017 under priority review. The company plans for commercial launch in January 2018. VTE is a blood clot or thrombosis formation in the circulatory system that interrupts blood flow. 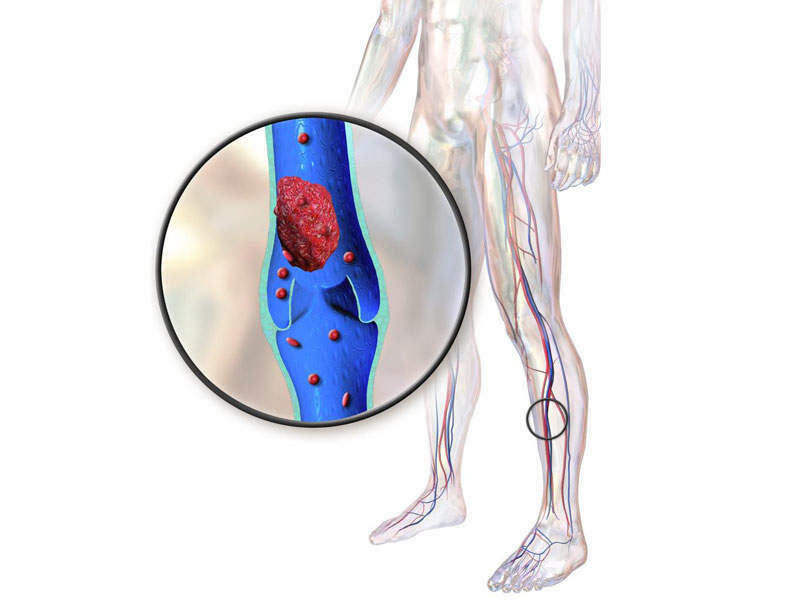 Deep vein thrombosis (DVT) and pulmonary embolism (PE) are also forms of VTE. DVT is the formation of blood clots in the vein usually occurring in the lower leg or thigh, while PE is a blood clot formation in the lungs. Symptoms include swelling, pain, warmness and redness in the legs. These cardiovascular diseases affect the pulmonary artery and are more common following a heart attack or stroke. Patients that have undergone major orthopaedic surgery such as hip or knee replacements and hip fractures are also at risk. Initial treatment for VTE includes administration of low-molecular weight heparin (LMWH) or unfractionated heparin. Bevyxxa blocks the activity of clotting factor Xa (FXa) to prevent the formation of clots. It obstructs free FXa and prothrombinase activity without a cofactor such as anti-thrombin III. The drug does not affect platelet aggregation and decreases thrombin generation (TG) by directly inhibiting FXa. Phase II clinical trials for Bevyxxa included key studies EXPLORE Xa and EXPERT. EXPLORE Xa was a randomised, parallel group, multi-centre, multi-national study that compared Bevyxxa with warfarin in non-valvular atrial fibrillation patients. The EXPERT study was an open-label parallel group study that compared Bevyxxa with enoxaparin in patients who have undergone knee replacement surgery. Both the studies established the safety and efficacy of Bevyxxa in non-valvular atrial fibrillation patients and knee replacement surgery patients. The FDA’s approval of Bevyxxa was based on the Acute Medically Ill Prevention with Extended Duration (APEX) study to evaluate the safety and pharmacokinetics (PK) of Bevyxxa. APEX was a randomised, double-blind, multi-national study that enrolled 7,441 patients. Of the total, 3,716 patients were previously treated with enoxaparin for an average of nine days, while 3,720 were administered with Bevyxxa for 36 days. Patients in both categories were under observation for 77 days. Patients in the enoxaparin arm were administered 40mg of the drug a day for six to 14 days and Bevyxxa placebo orally for 35 to 42 days. The drug’s efficacy was evaluated based on the occurrence of asymptomatic or symptomatic proximal deep vein thrombosis, non-fatal pulmonary embolism, or VTE-related death. The Bevyxxa arm recorded 4.4% events, compared to 6% events in the enoxaparin arm. Portola Pharmaceuticals is a US-based biotechnology company involved in the development and commercialisation of therapies for the treatment of thrombosis and other haematologic diseases. The firm implements novel strategies and internal research to develop commercial therapies. It is currently focused on advancing patient care through its assets including Bevyxxa (betrixaban) and Andexanet alfa, which is another FXa inhibitor made from human protein to reverse anticoagulant activity. The company is also developing Cerdulatinib, an investigational Syk/JAK inhibitor for the treatment of haematologic cancers.